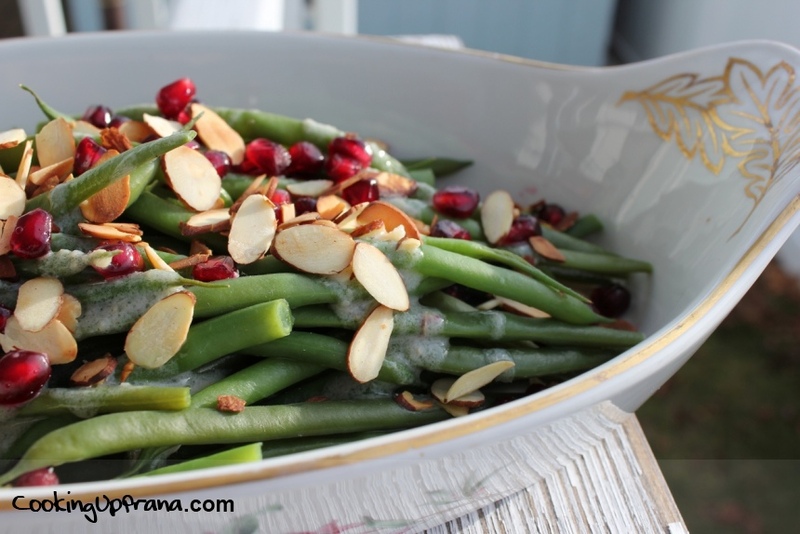 This is a quick and easy green bean salad that features some crunchy fun toppings and a decadent creamy coconut sauce. 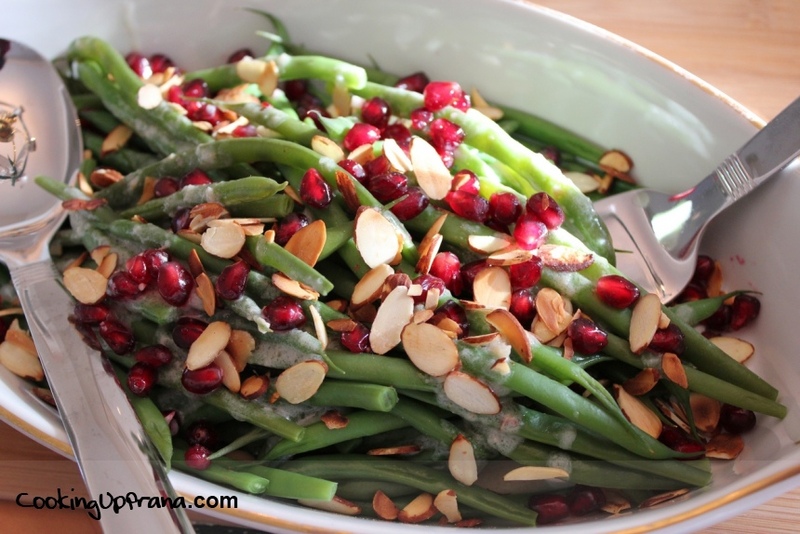 I’ve enjoyed making different renditions of it through the holidays including swapping the green beans for asparagus. Pomegranates are super rich in antioxidants, which protects cells from oxidation, and keeps us from disease and illness. Here’s a little trick to remove the pomegranate seeds; hit the pomegranate with the back of a spoon and the seeds will fly out (caution, it’s a little messy). Above is one variation to the Festive Green Bean Salad that includes asparagus as well and is chopped and simplified using just a squeeze of lemon juice, olive oil, and a pinch of sea salt. The recipe is jazzed up a bit with the toasted almond slices and creamy coconut sauce made from coconut milk, lemon juice, grated ginger, and a bit of maple syrup. It’s sweet yet a bit tart, very refreshing. 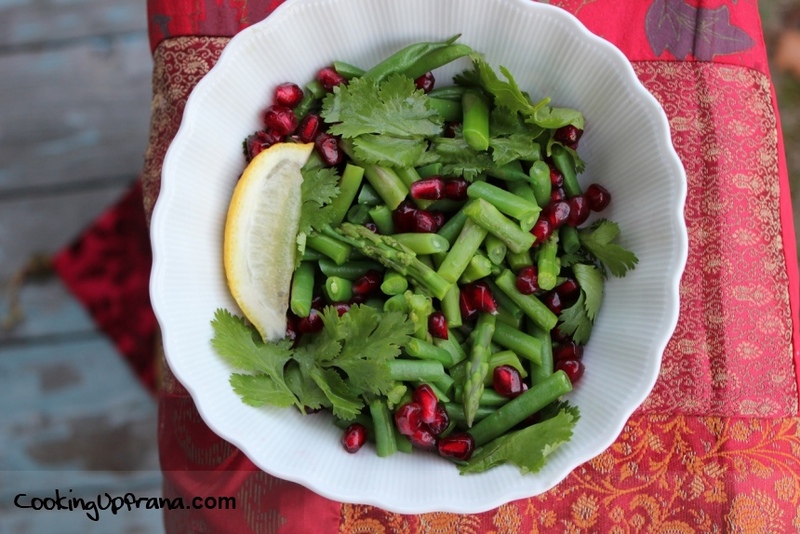 While I’ve written this recipe as a side dish you could easily dress it up to make it a main. Saute marinated tofu or tempeh until nicely browned or golden ahead of time and then serve along with the green beans. Alternatively, you could serve the beans over lightly dressed salad greens. Start by steaming the green beans in a steamer basket for 5-6 minutes or until tender (thinner French-style green beans take less time). Drain and set aside. Prepare creamy coconut sauce over medium heat. Start by adding coconut milk and then stir in the remaining ingredients. Bring to a low boil for 1-2 minutes until creamy consistency. 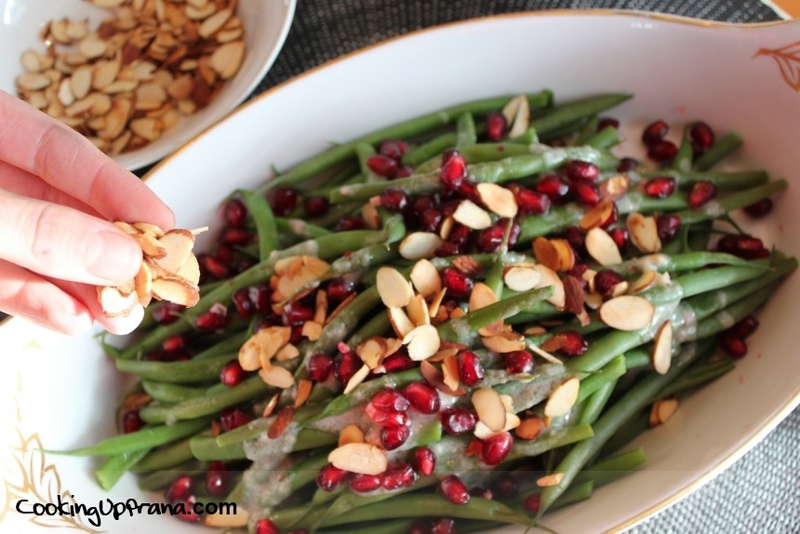 Place green beans into a serving dish and drizzle with the coconut sauce. 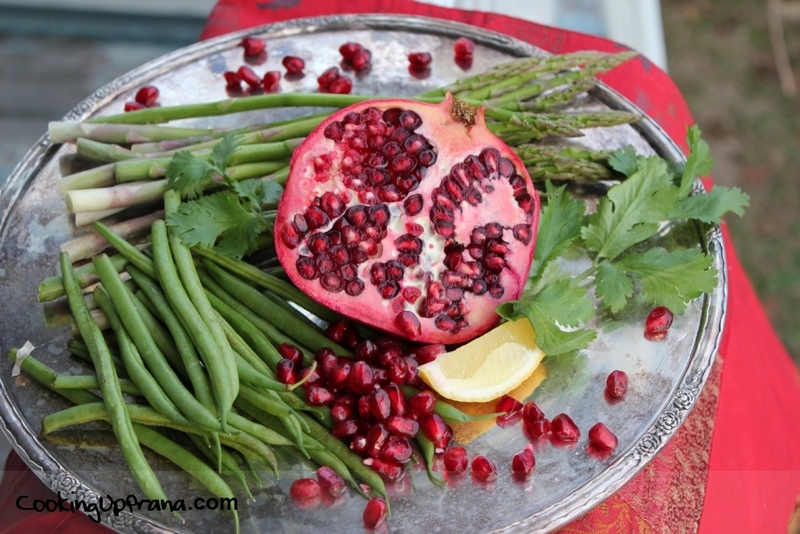 Sprinkle the toasted almond slices and pomegranate seeds.